To be even competitive after turning 30 in professional tennis, let alone winning, demands something special. But this man is beyond special. Managing 4 kids and winning matches on the Tour simultaneously can be tough, but Roger does it with aplomb. He is the reason why millions of people watch the sport and small children picked up a tennis racquet . He is an inspiration to millions and is a true ambassador for the sport.He makes tennis look so simple whilst serving a treat to the eyes of the spectators. Federer won the US Open five consecutive times from 2004-08 and also achieved the same feat at Wimbledon from 2003-07. 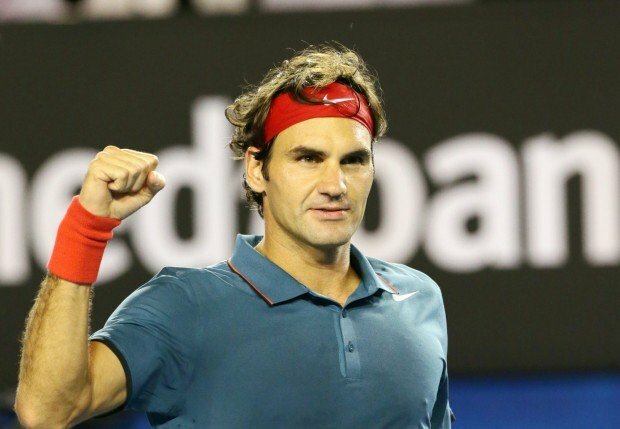 Federer has been ranked world no.1 for a record total of 302 weeks. He had also been the world no.1 for more than 200 consecutive weeks. Words can never be enough to describe Roger. So let’s just hope that he keeps winning titles on the Tour and adds a couple of more Grand Slams to his mind-boggling list of 17 Slams already. He has nothing left to prove to anyone and irrespective of whether he wins any more Grand Slam or not, he will remain, arguably, the greatest player to have ever played the game.